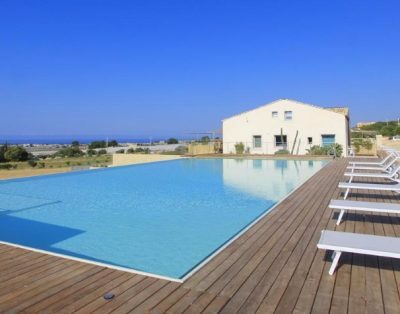 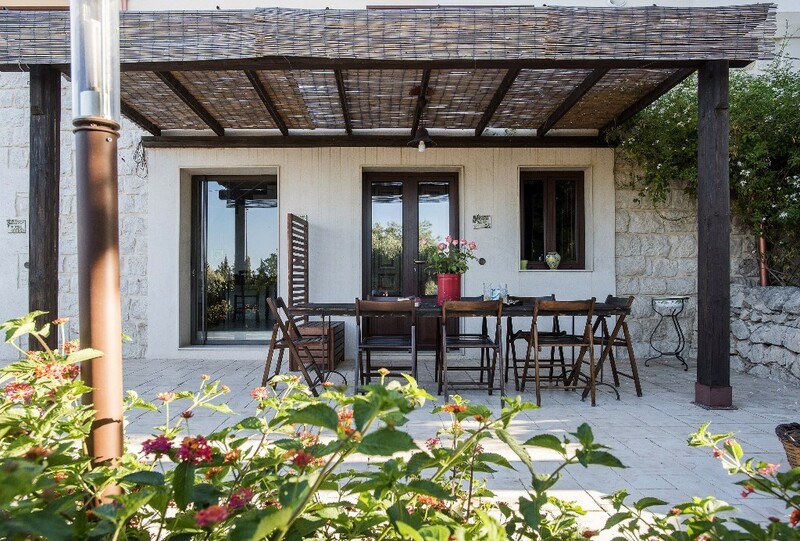 Rent your villa in Sicily now and prepare yourself to remain enchanted. 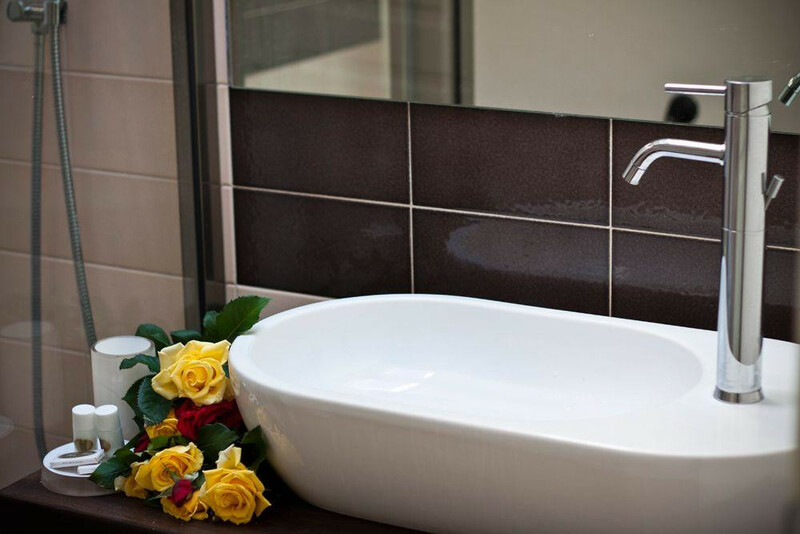 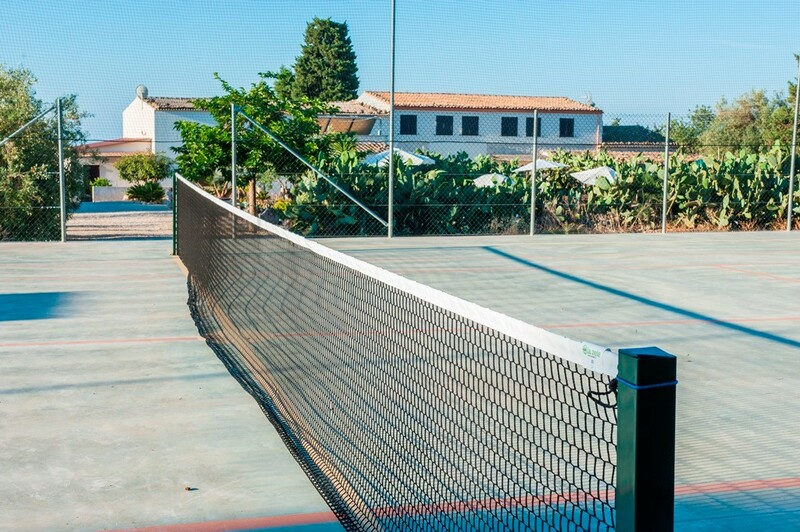 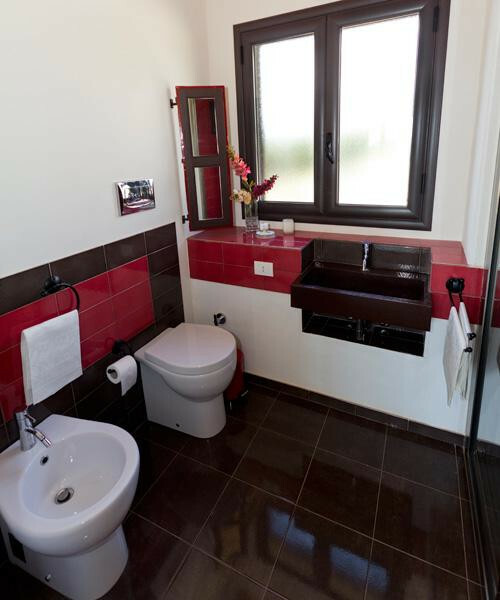 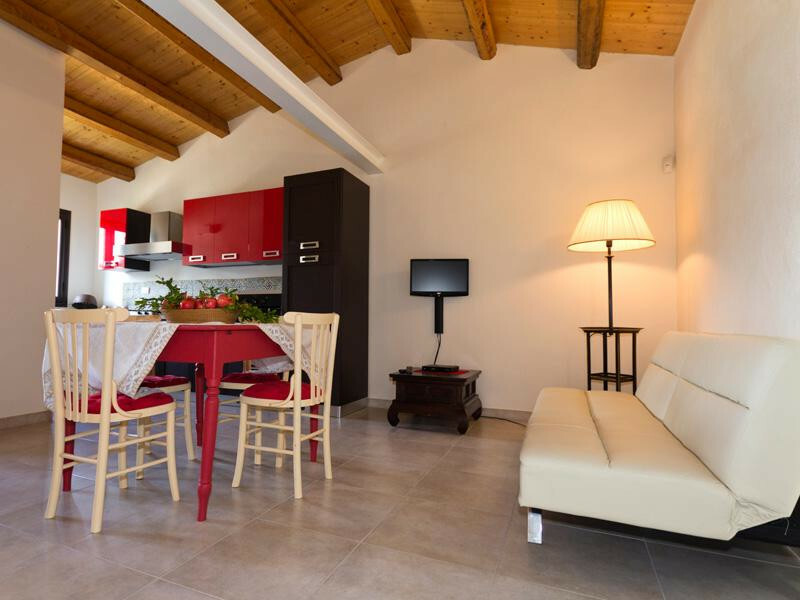 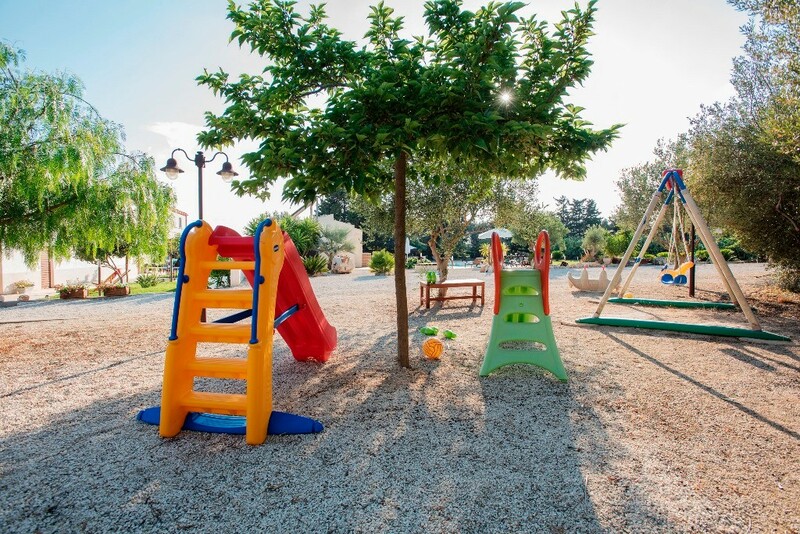 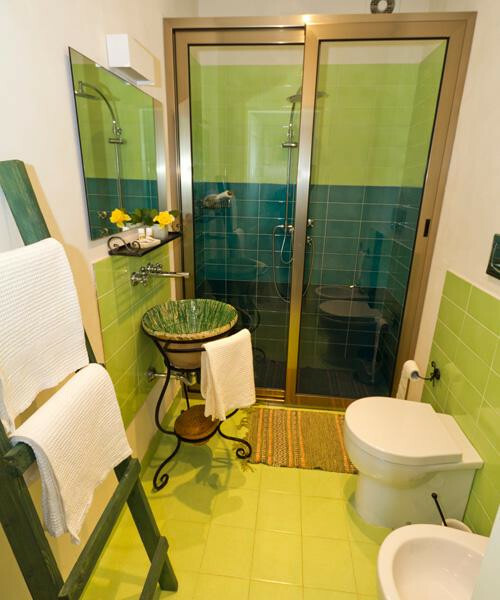 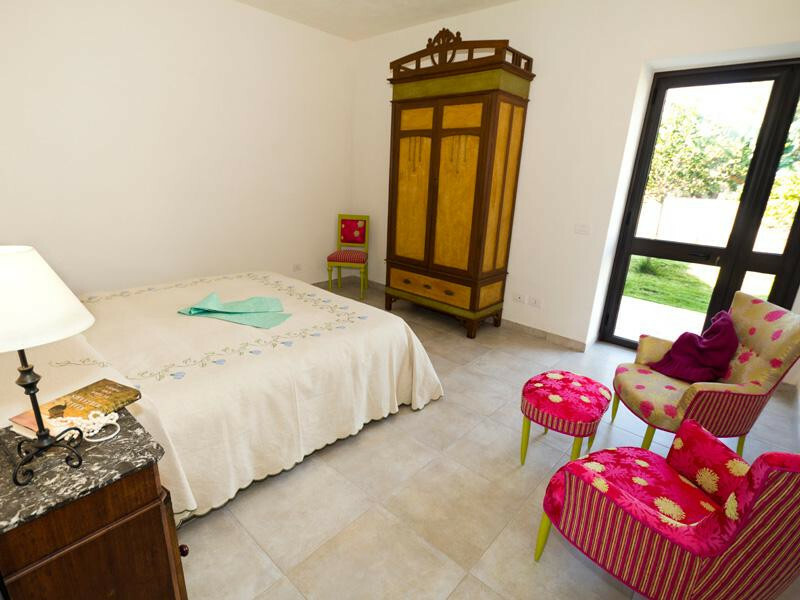 Holiday apartments Montalbano the ideal destination for couples and families. 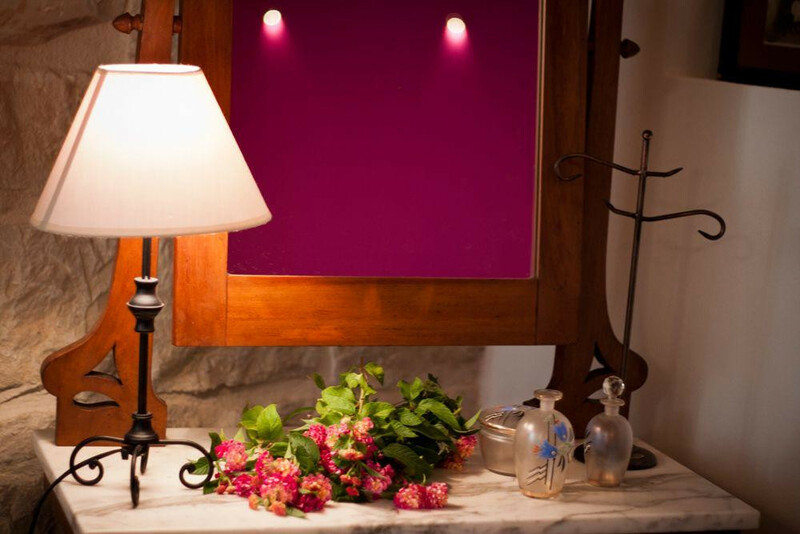 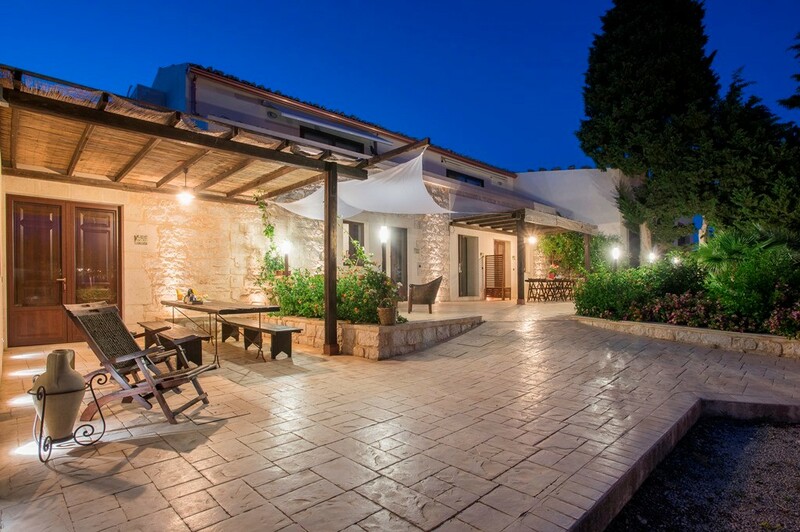 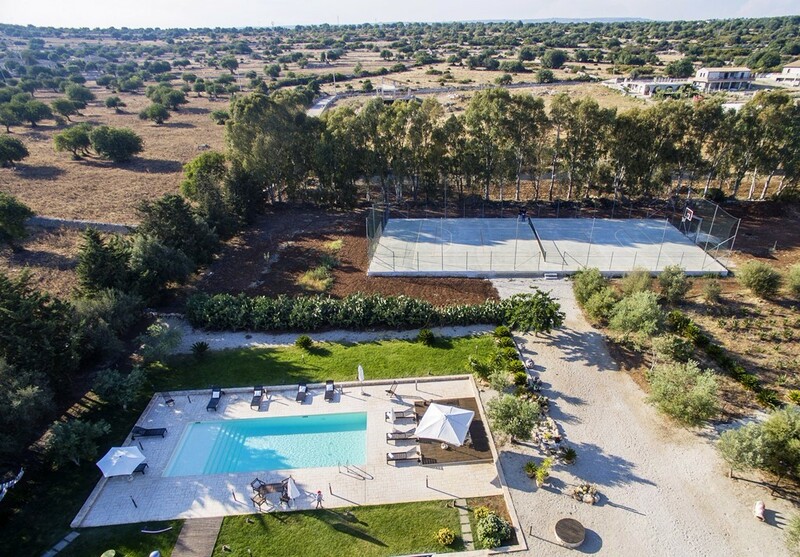 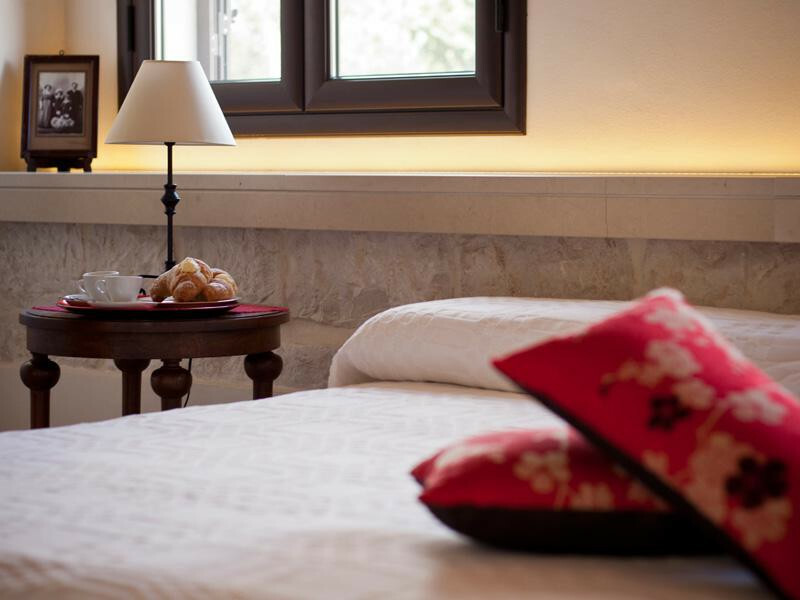 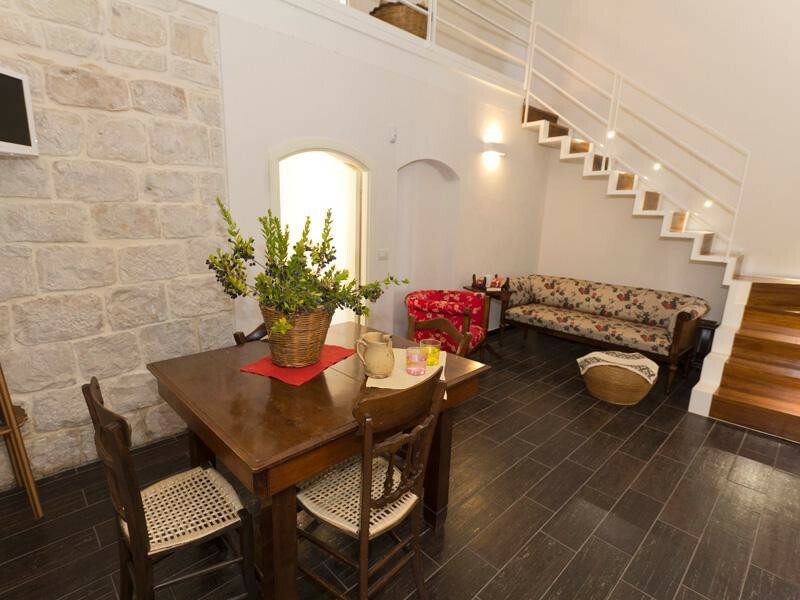 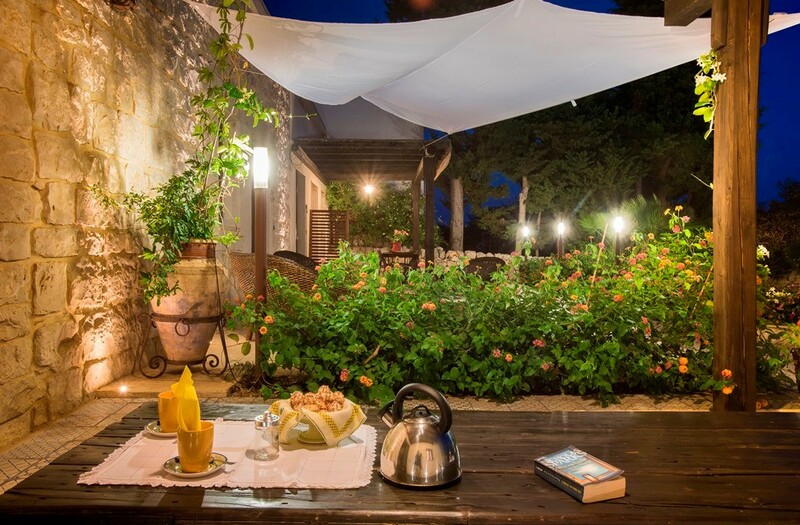 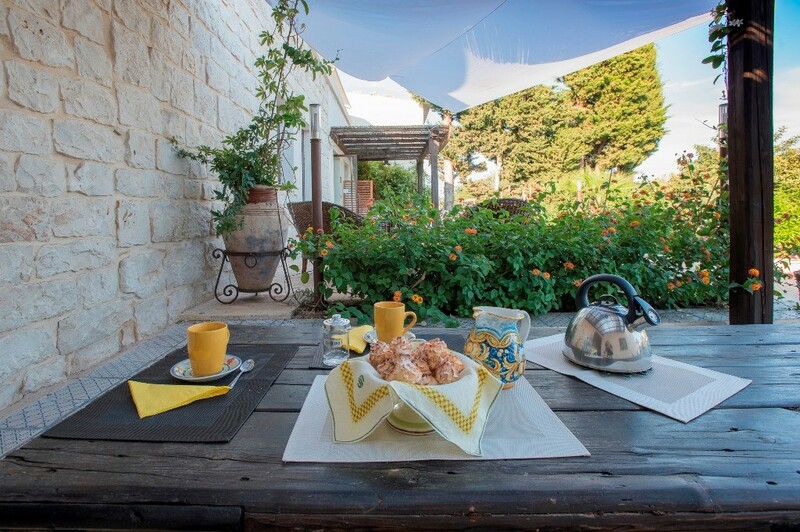 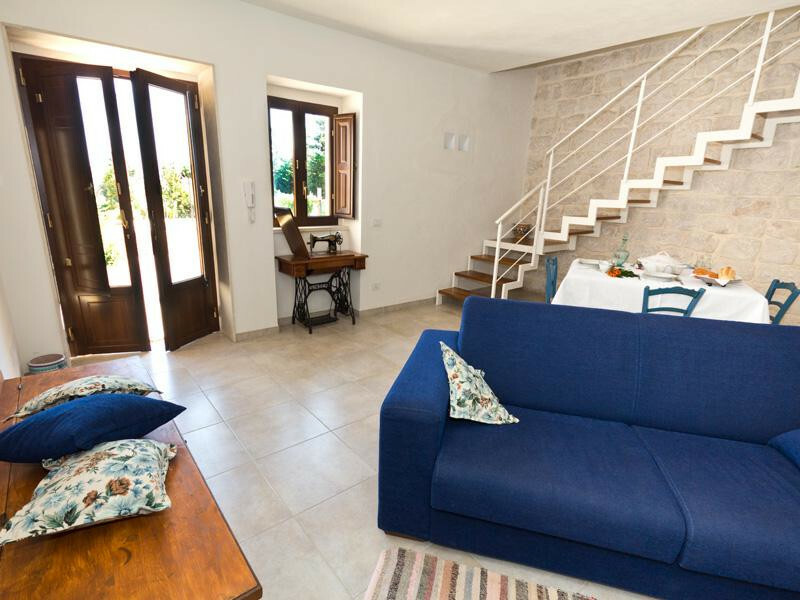 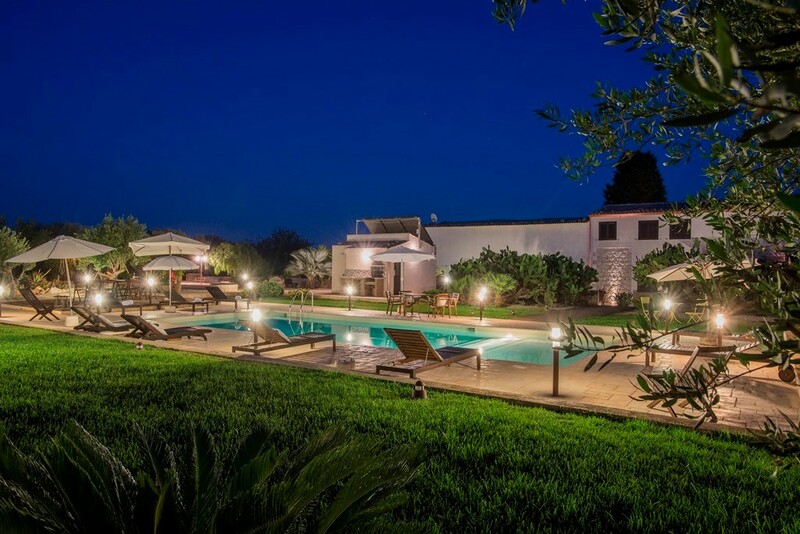 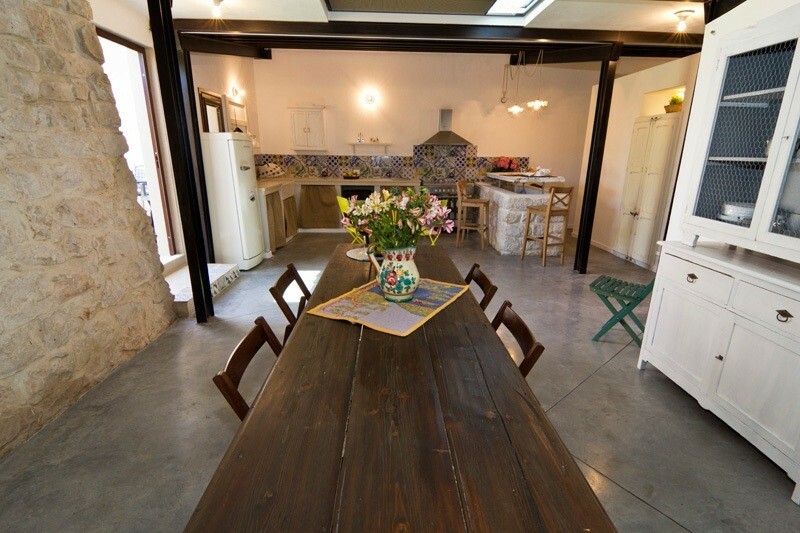 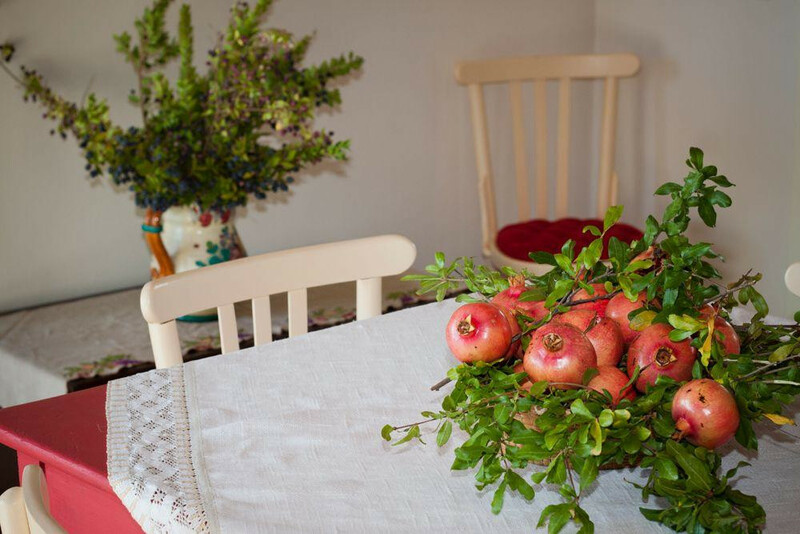 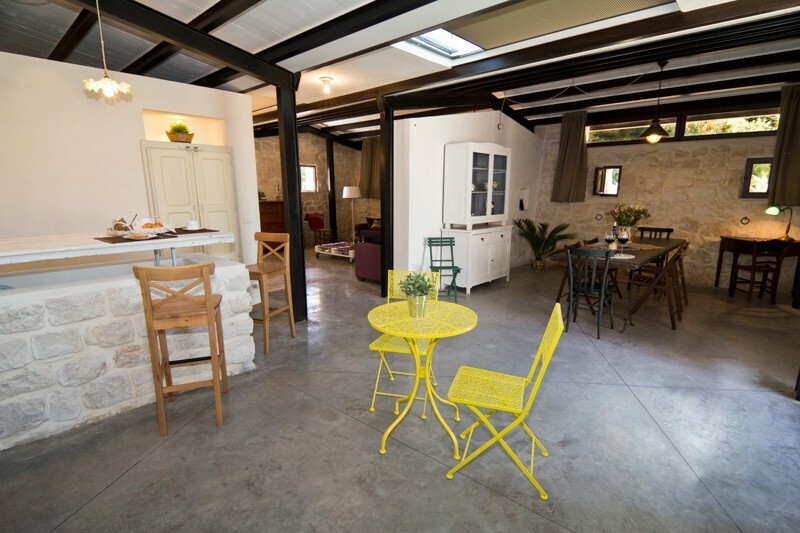 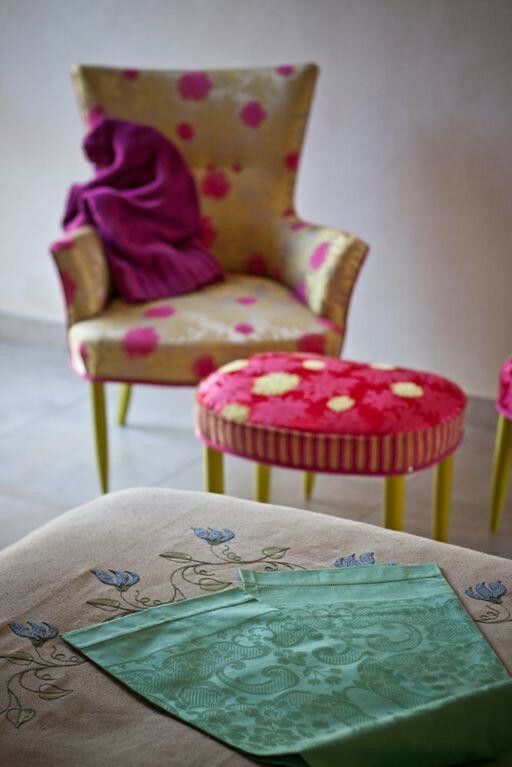 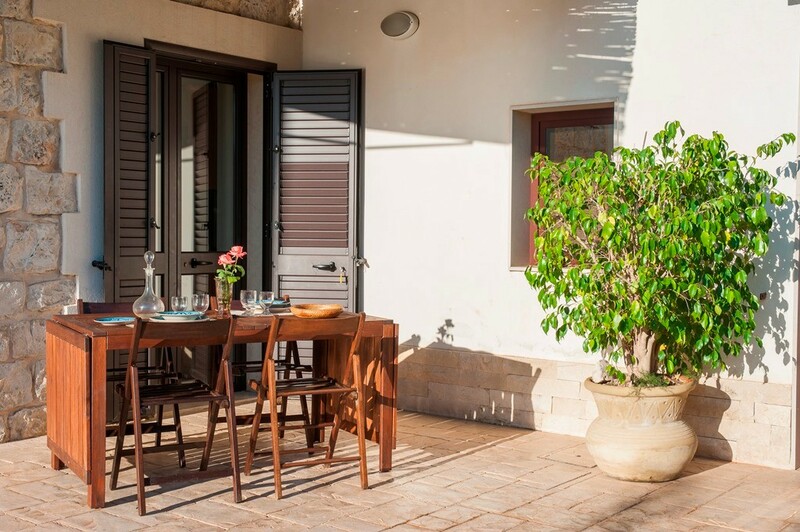 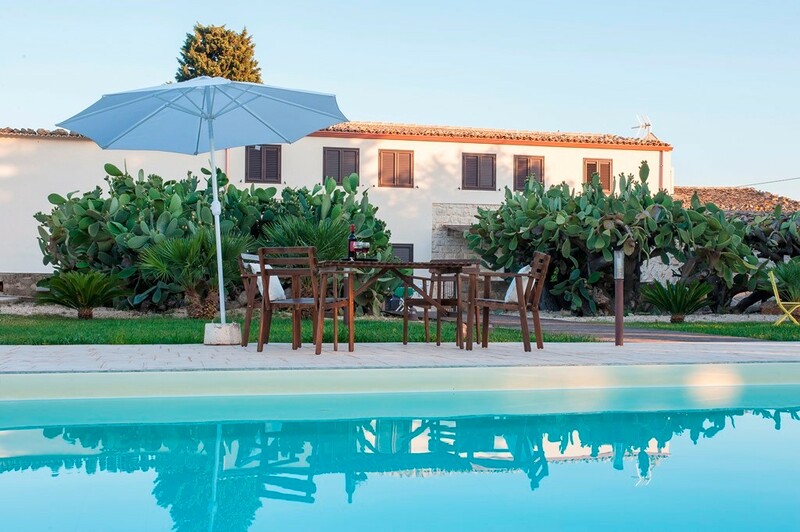 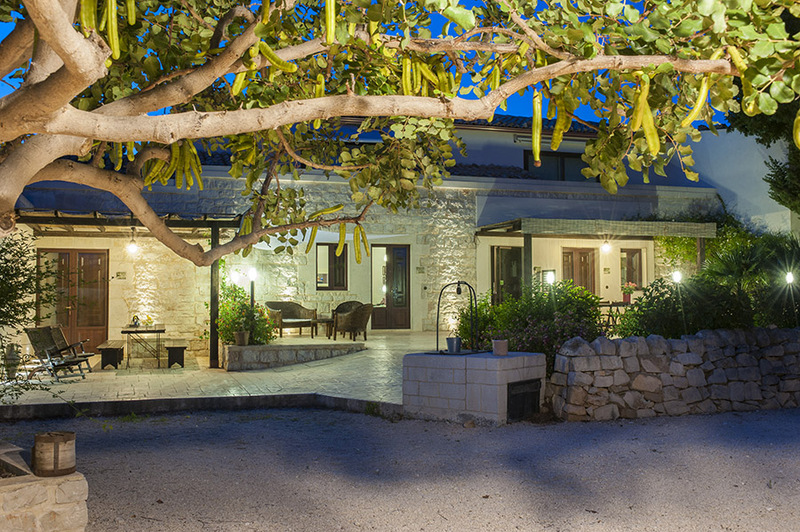 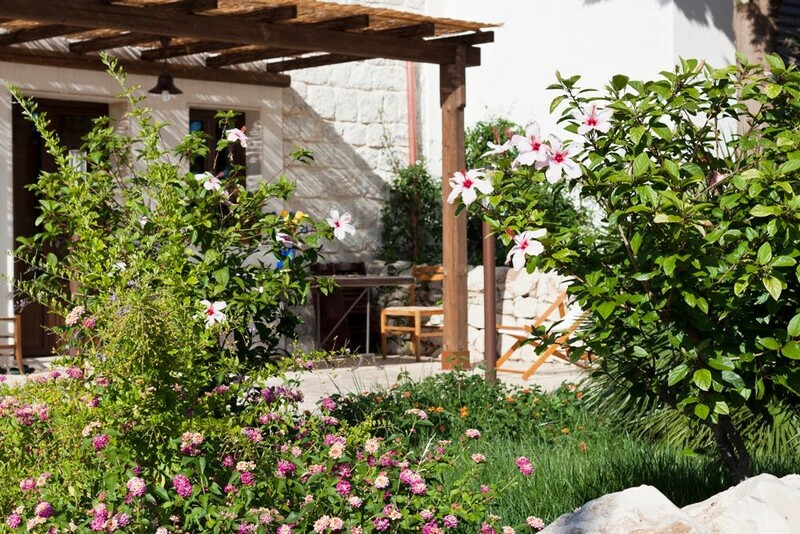 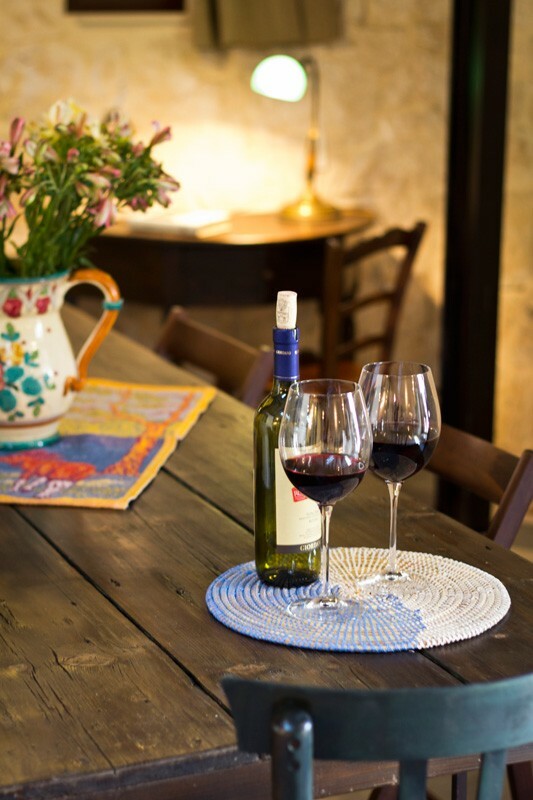 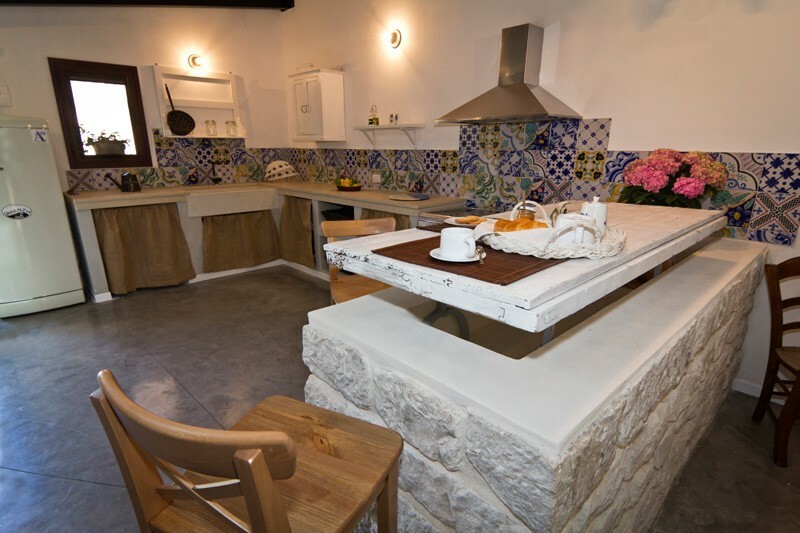 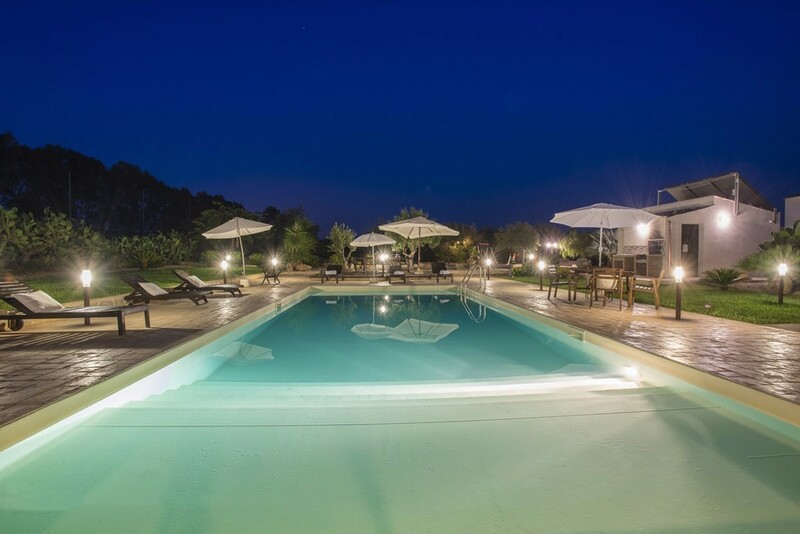 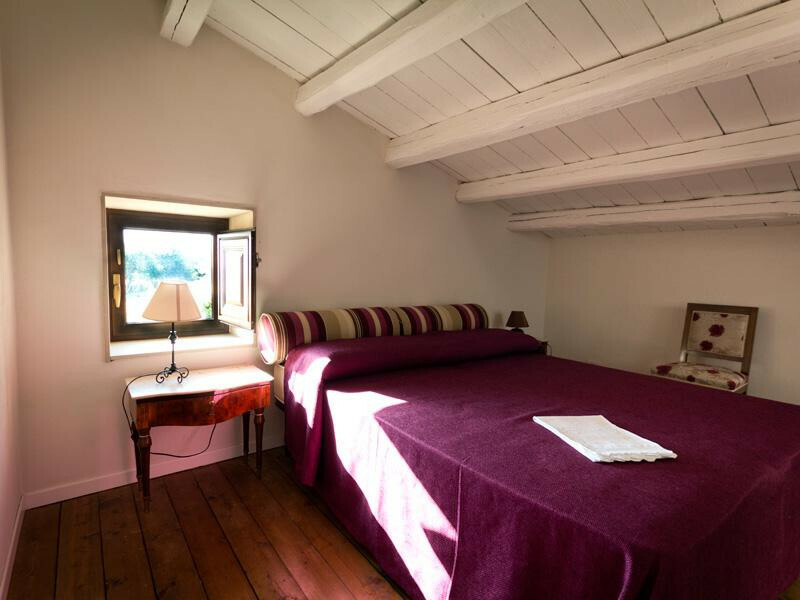 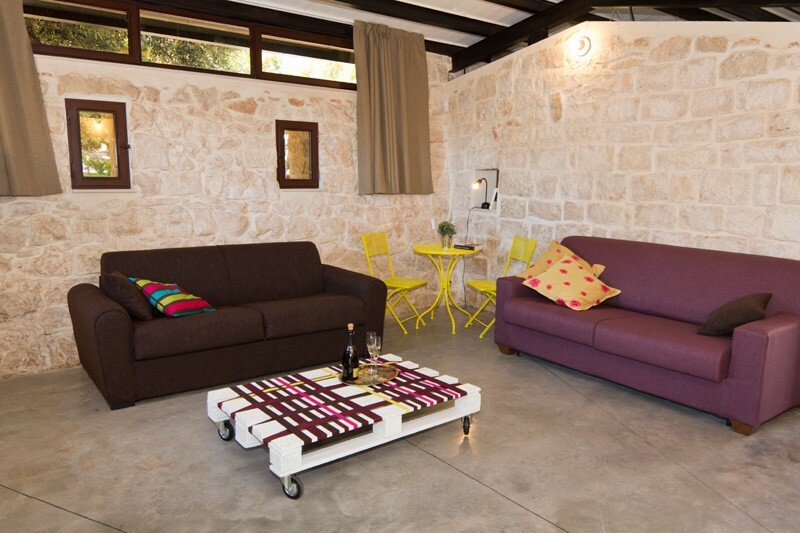 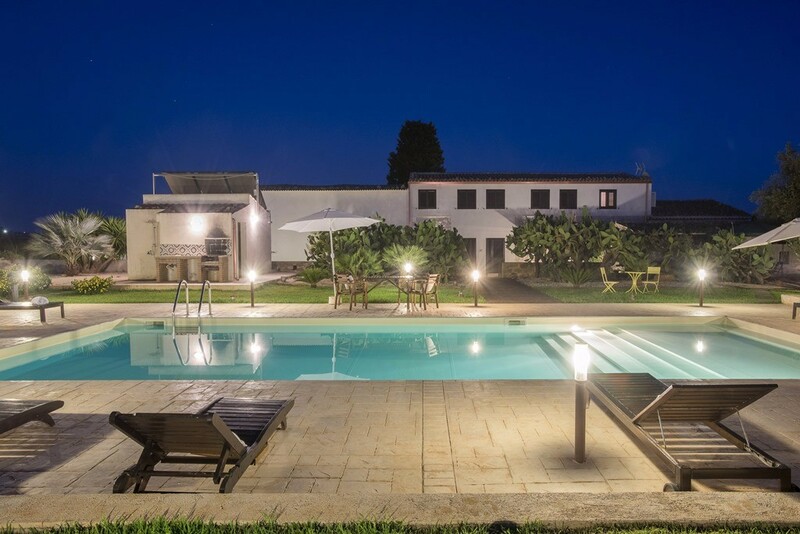 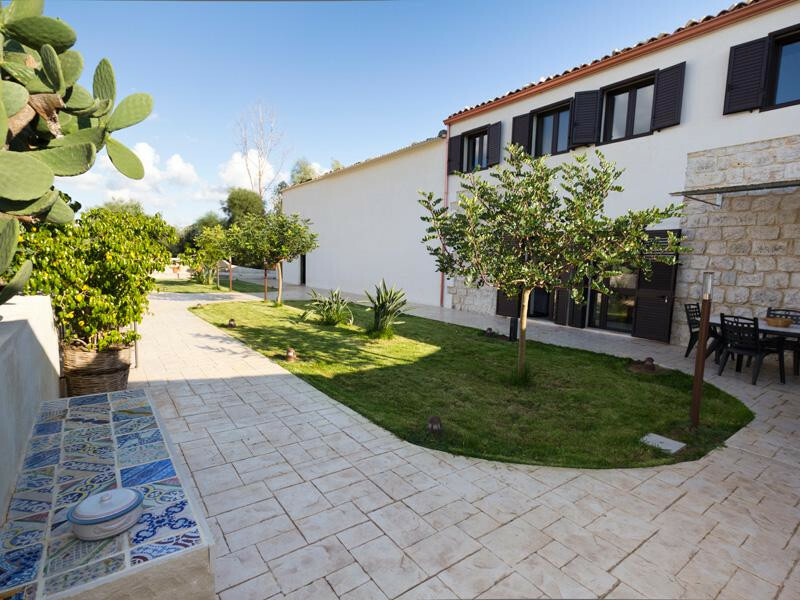 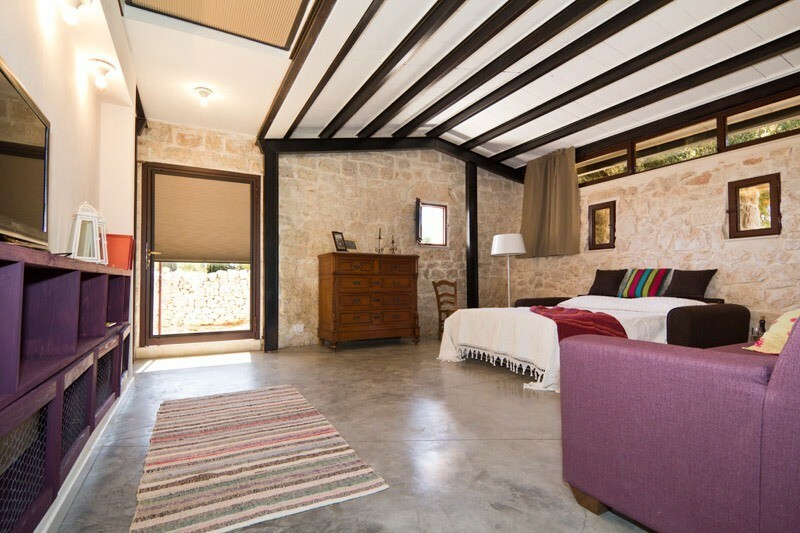 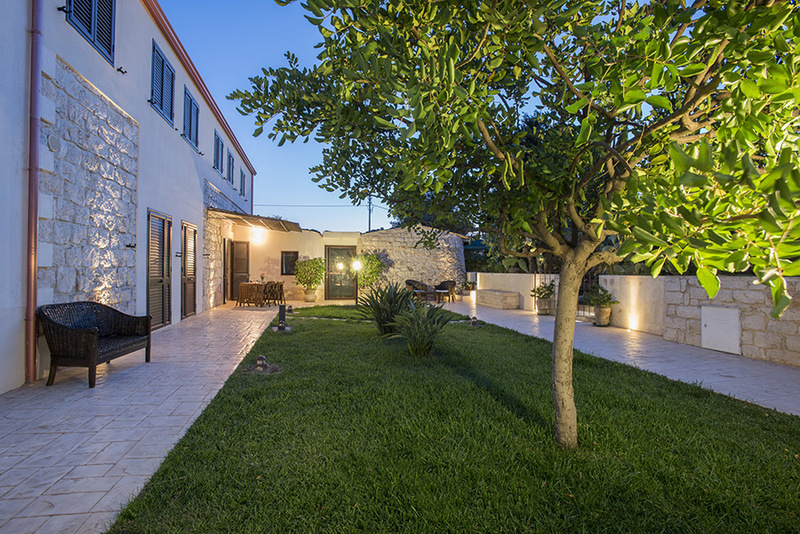 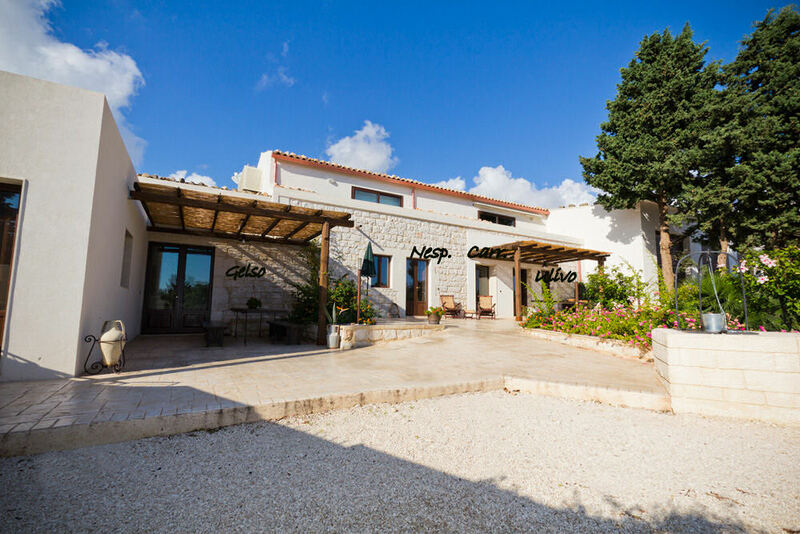 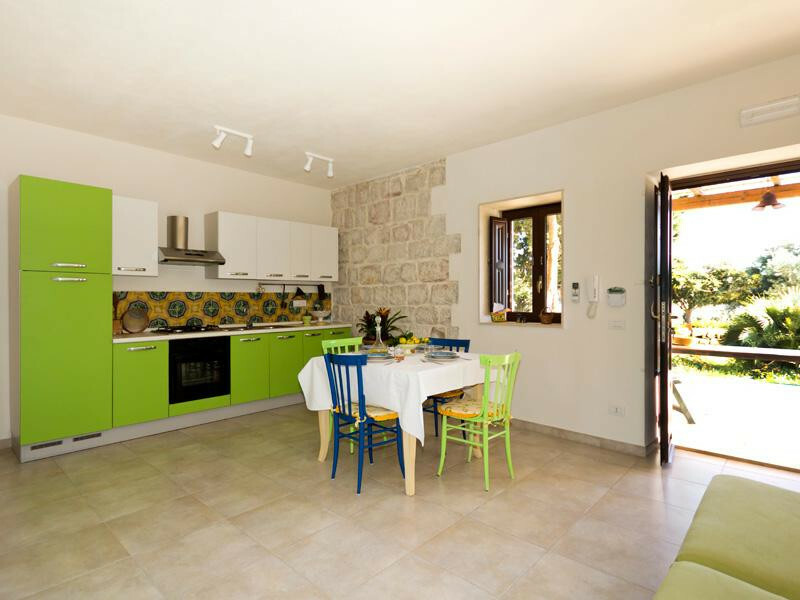 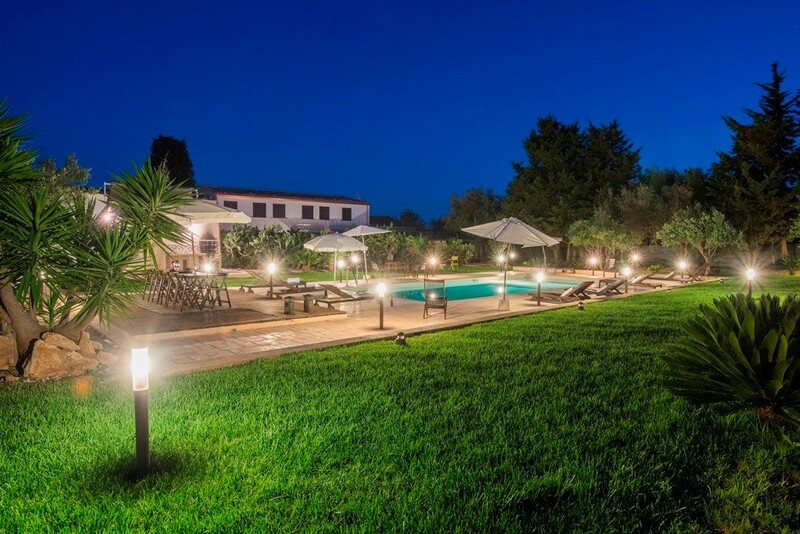 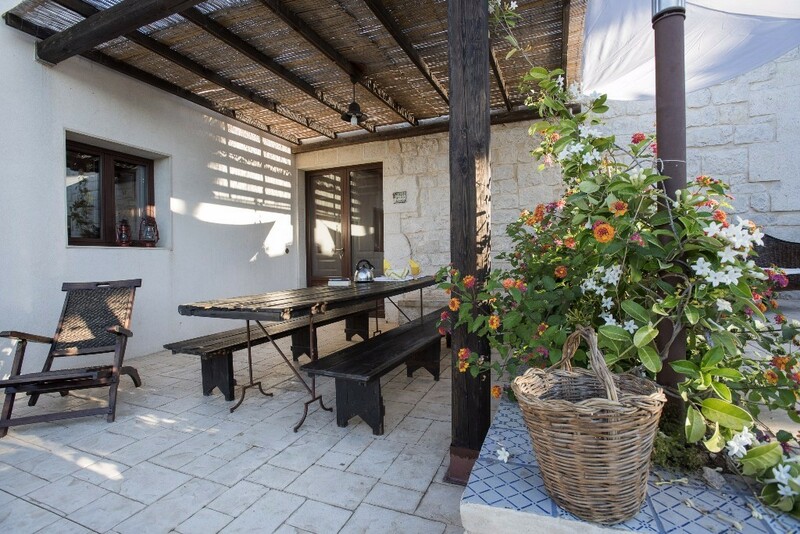 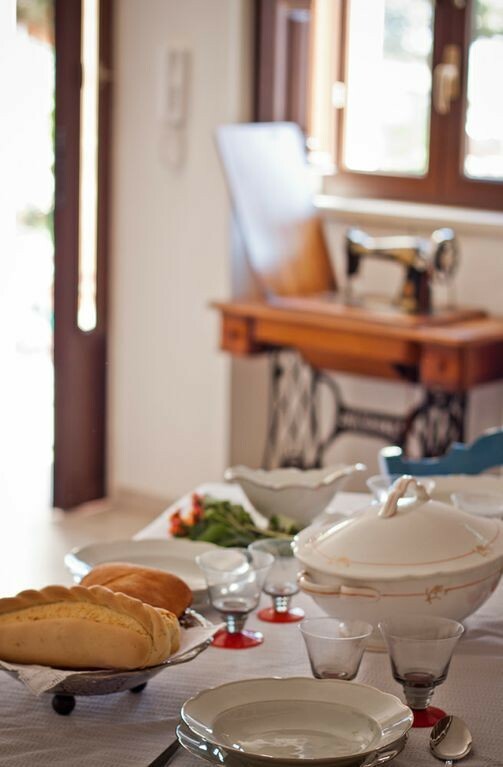 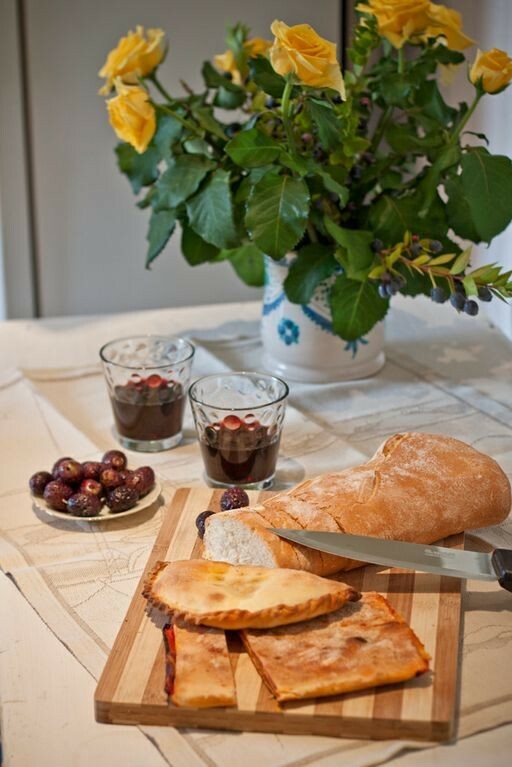 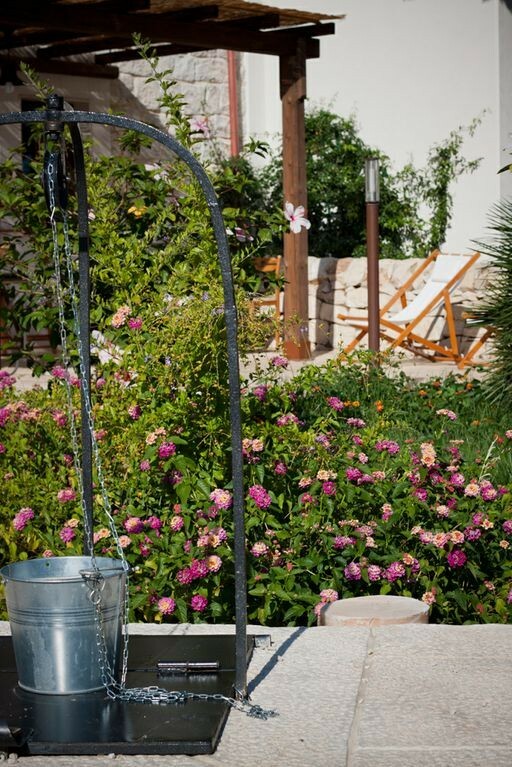 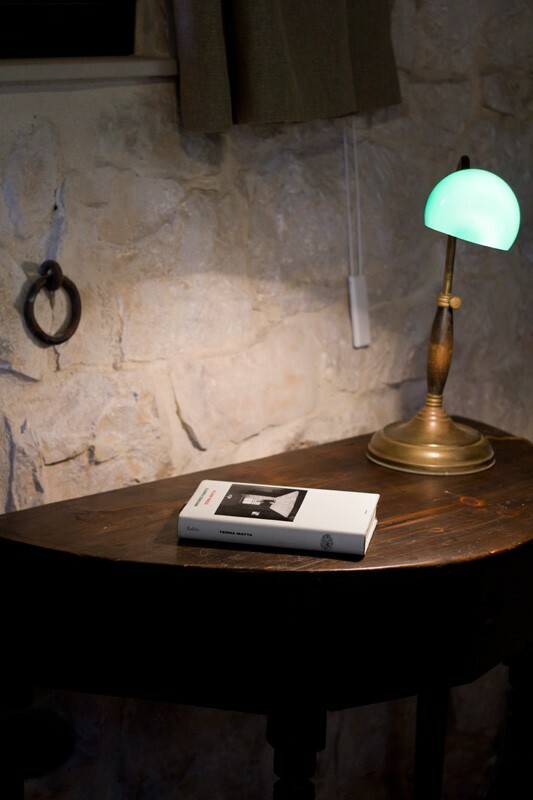 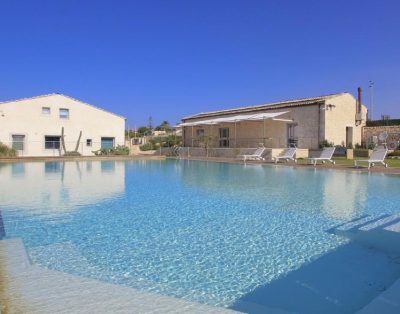 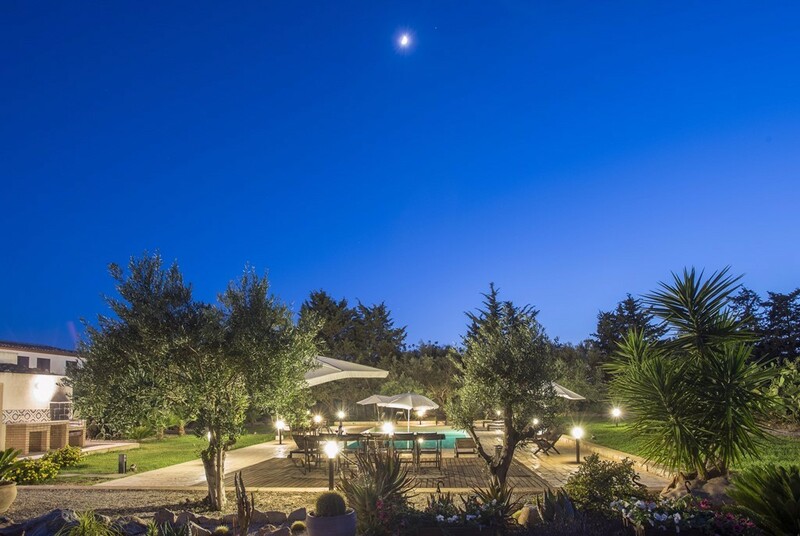 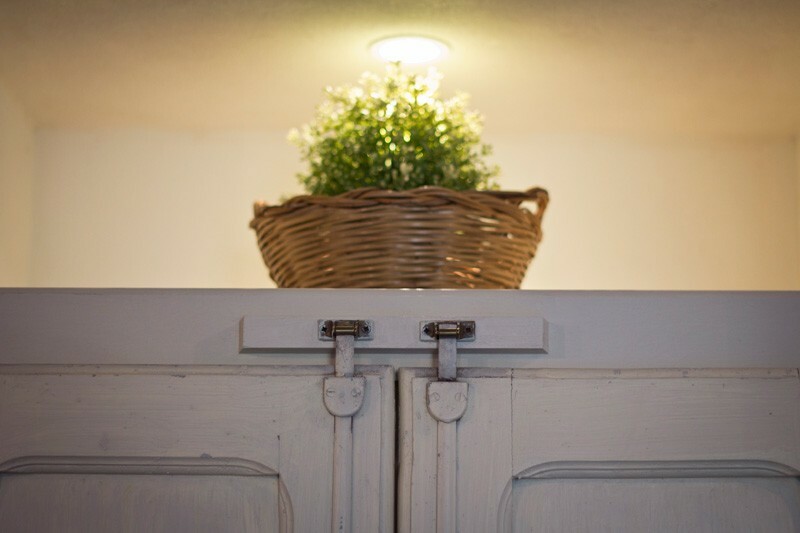 This ancient Masseria (homestead) has been turned into a beautiful accommodation with five well furnished apartments, located in one of the most enchanting area of Sicily: an ideal destination for couples and families, surrounded by ancient olive trees, Mediterranean shrub and the typical dry-stone walls of the Ragusa area. 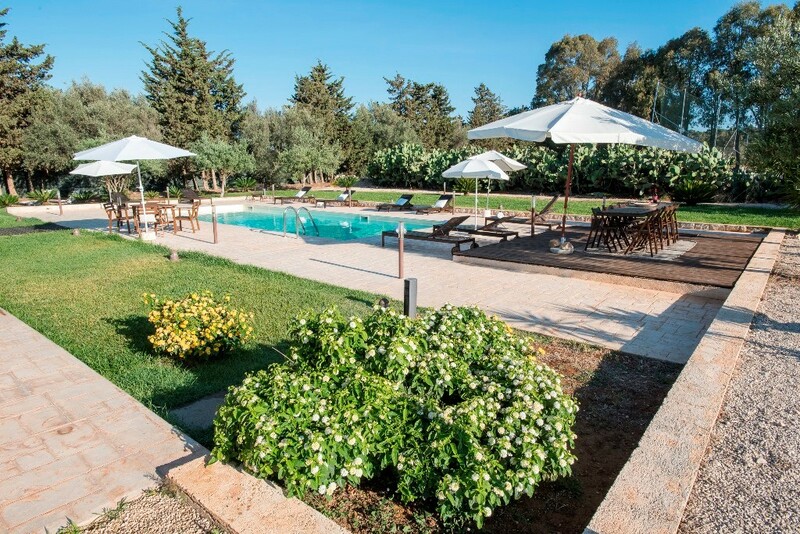 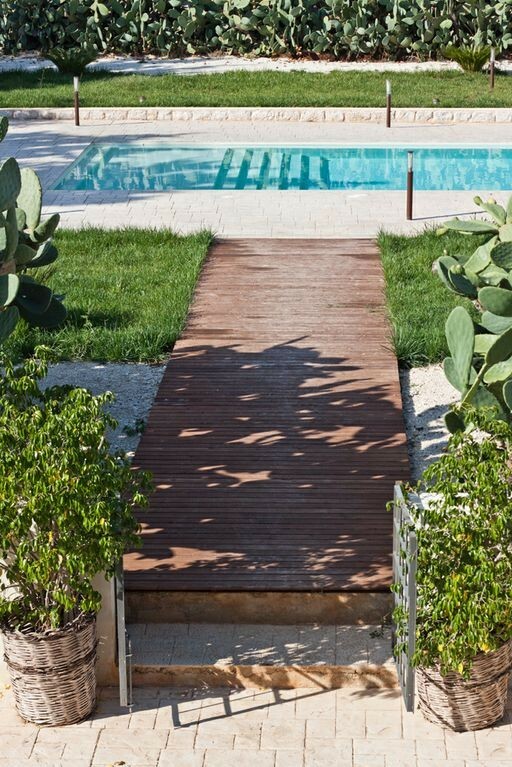 Guests can enjoy relaxing moment at the private pool, as well as an equipped area with sun beds, patio furniture and a BBQ for delicious open-air dinners. 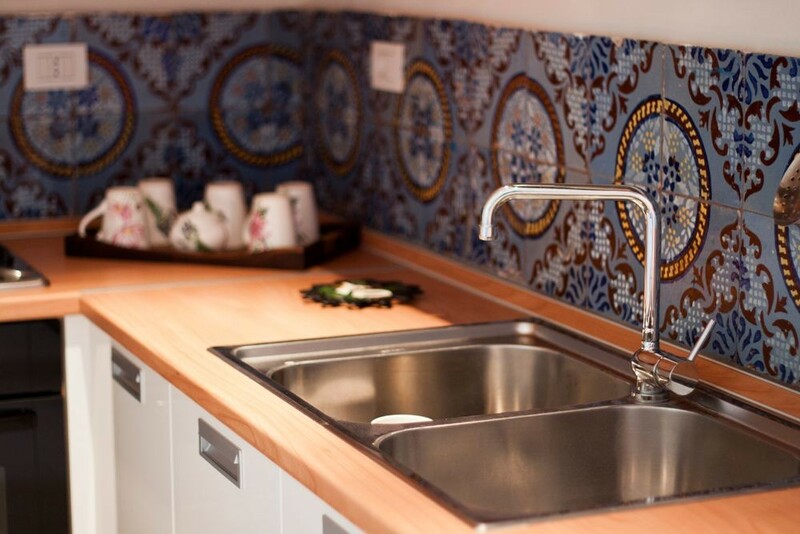 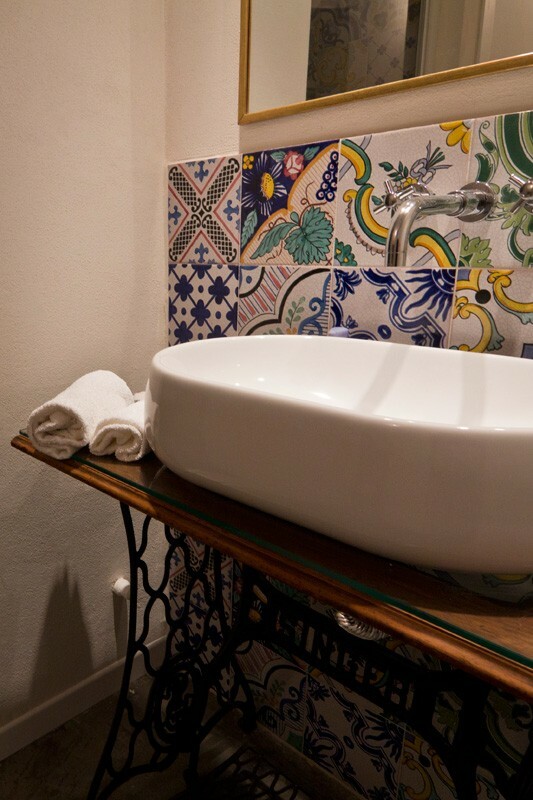 Each one of the five apartments is unique: design, comfort and care for details are capital in every corner and in every room. 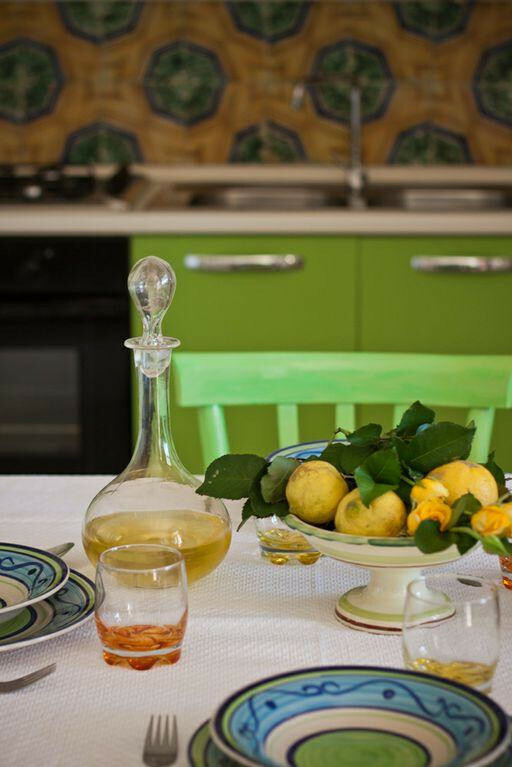 Modern elements perfectly combine with ancient furniture, and Sicilian details and decor make the atmosphere really one of a kind. 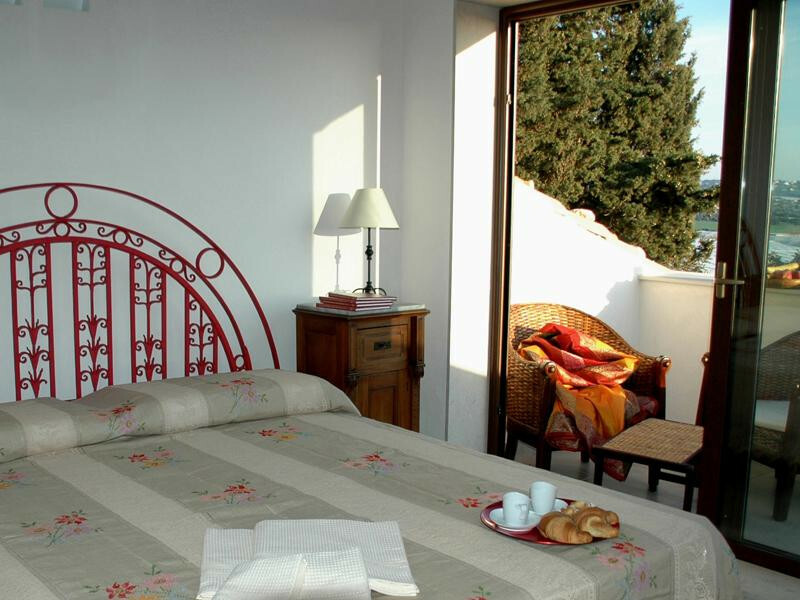 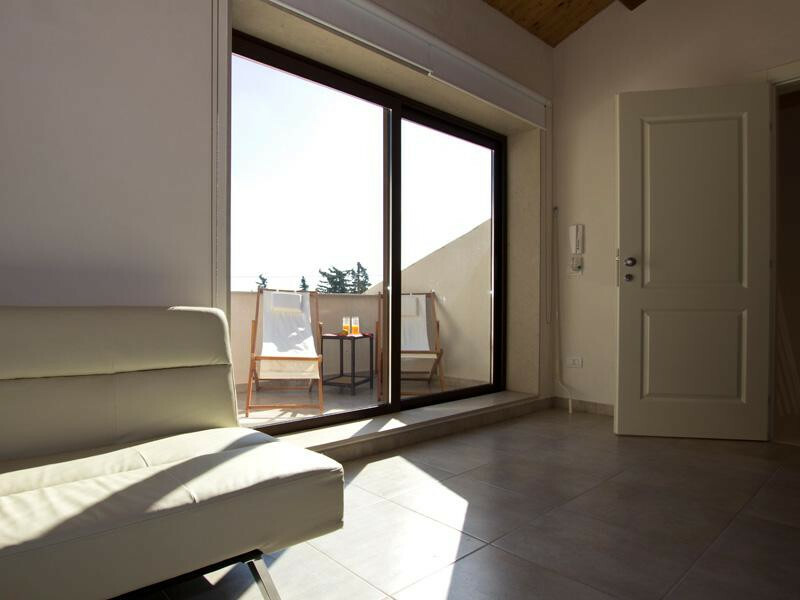 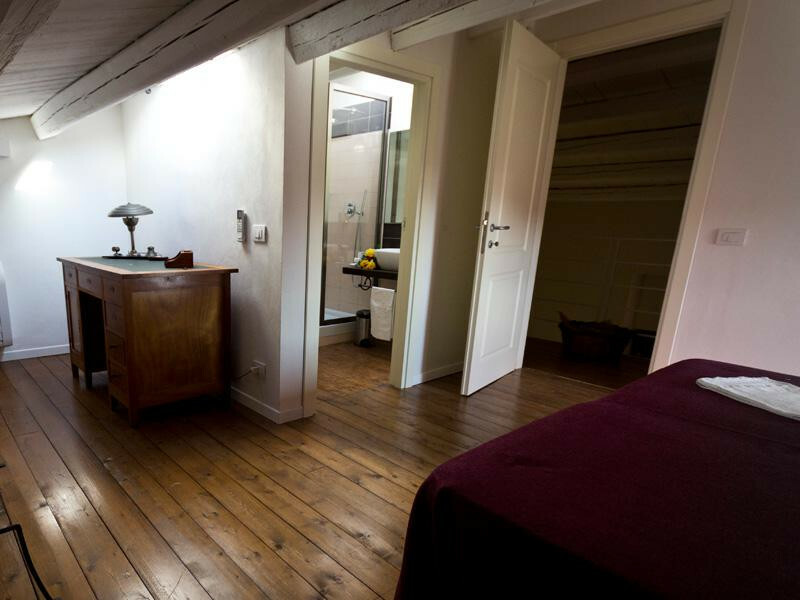 Two apartments are spread over two floors, and all accommodations have a private terrace or balcony with a beautiful view. 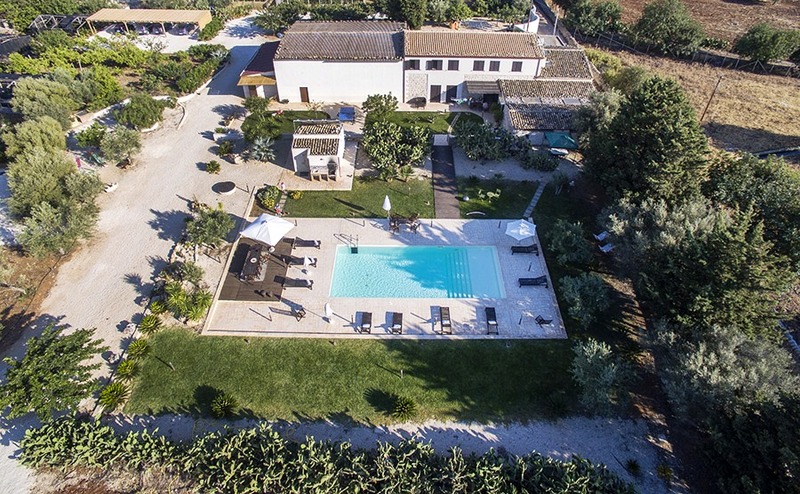 Tuff of last Sicily with a touch of modern luxury. 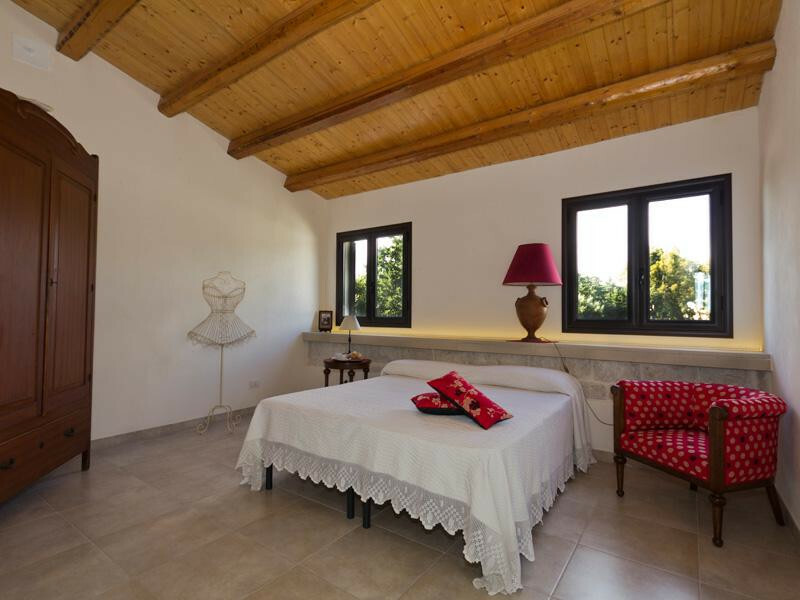 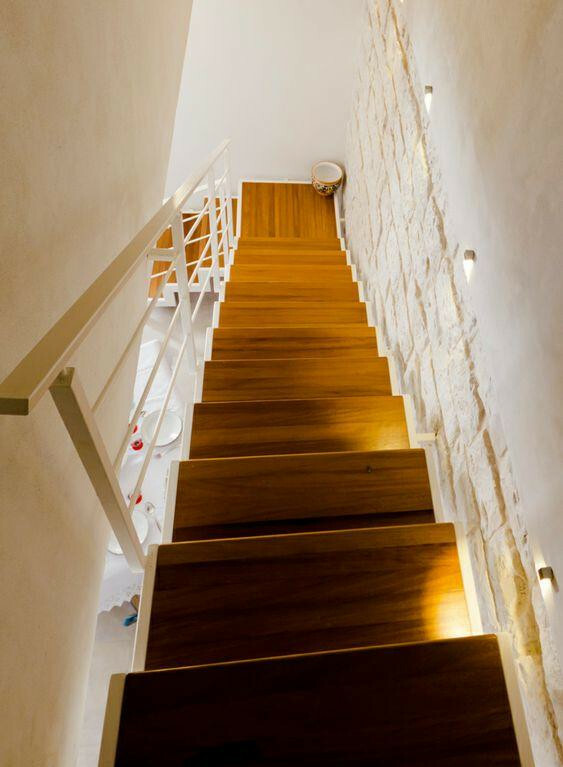 Tuff walls with a refined touch of modern luxury; in the ground floor there is a living area with kitchen, dining room and direct access to the terrace, a double bedroom and a bathroom with shower; on the first floor there is another bedroom and a bathroom with shower. 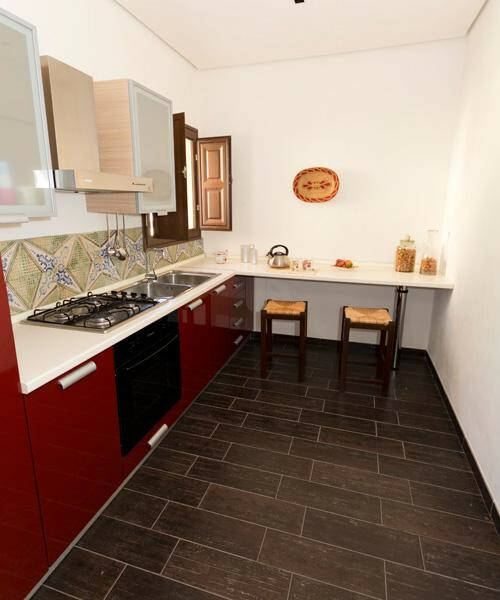 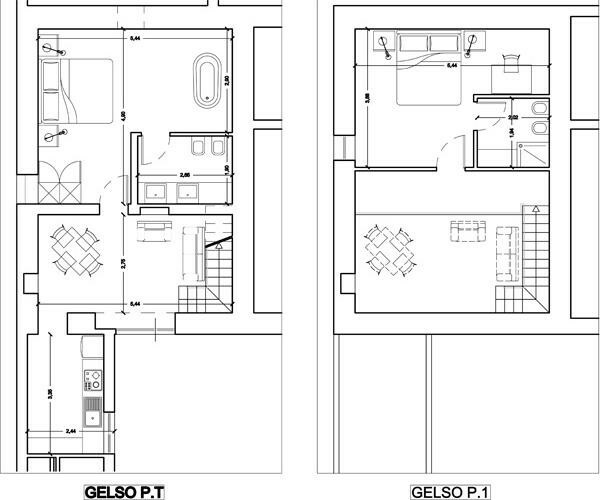 This spacious and comfortable apartment is perfect for families. 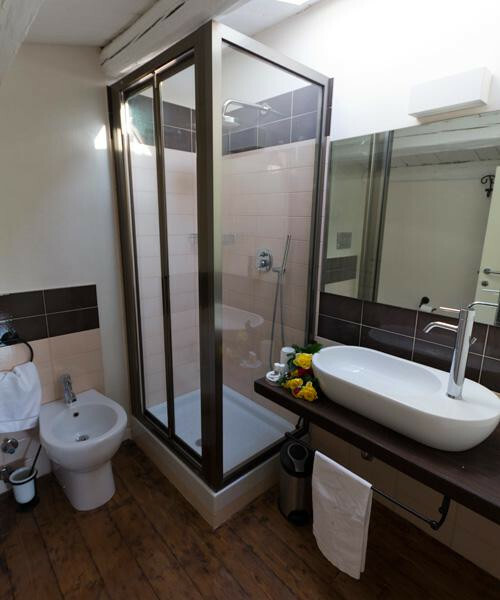 On the ground floor you’ll find a living and dining room with double sofa bed, a kitchen and access to the pretty terrace, as well as a bathroom with shower; the first floor houses another double bedroom with balcony, a twin bedroom and a bathroom with shower. 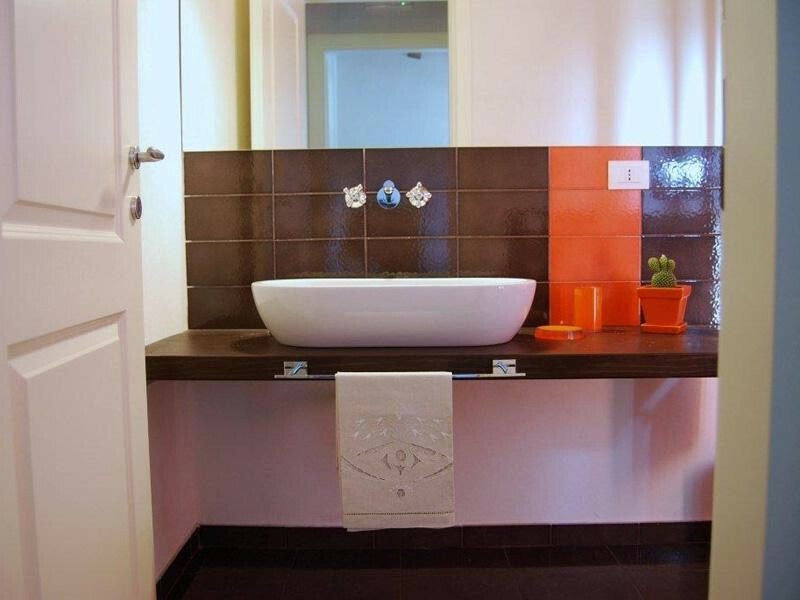 Beautiful apartment, best suitable for a couple, with living room (sofa bed for 1 guest), kitchenette, balcony, a double bedroom and a bathroom with shower. 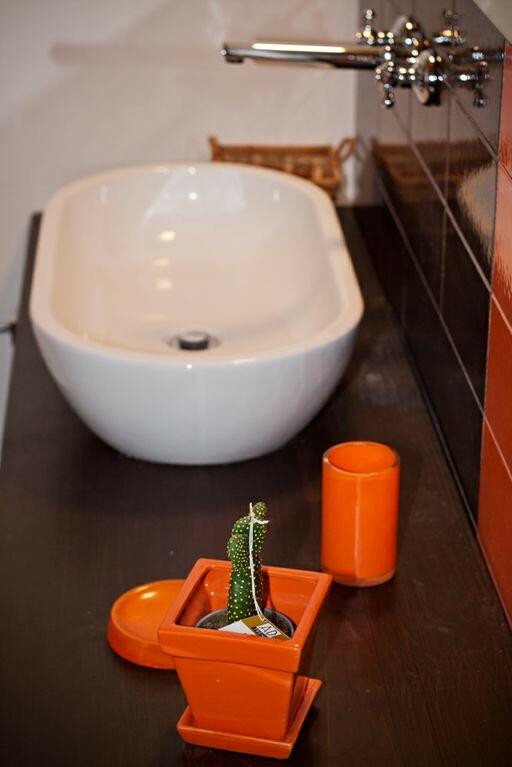 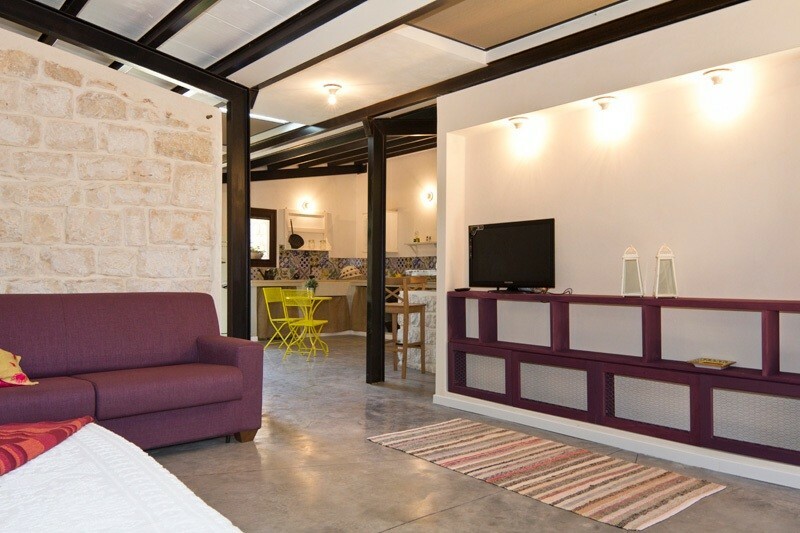 You’ll be welcomed by the beautiful colors and the comfortable environment of this apartment with a living room (double sofa bed), a kitchenette, an access to the private terrace, a double and a twin bedroom and a bathroom with shower. 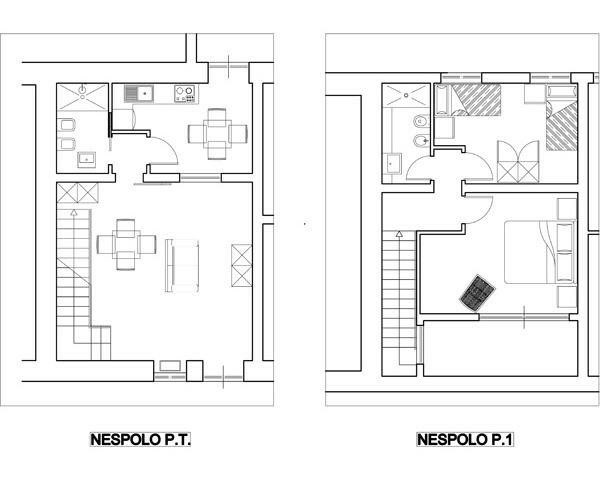 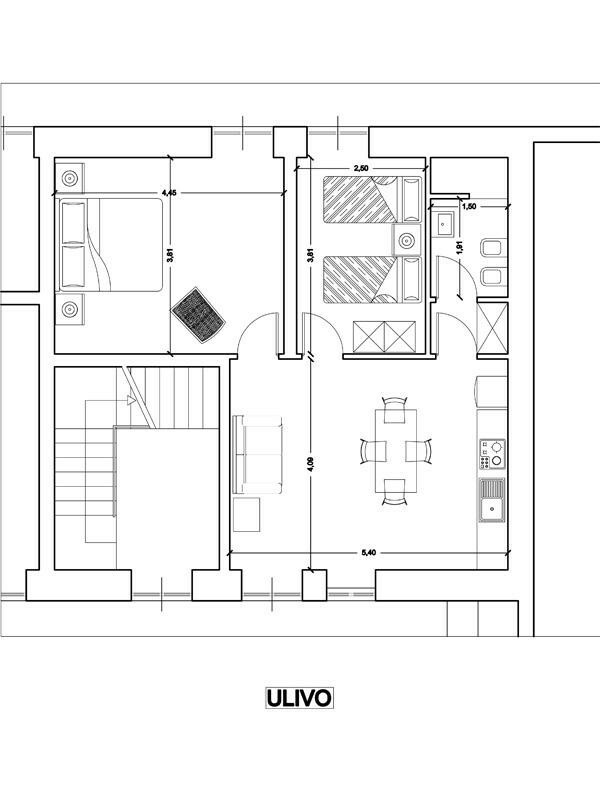 Up to 4 people – 80 sq.m. 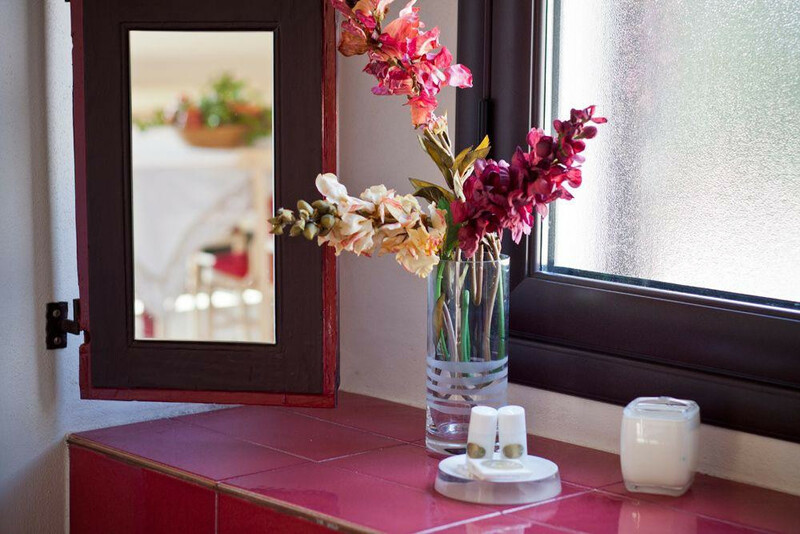 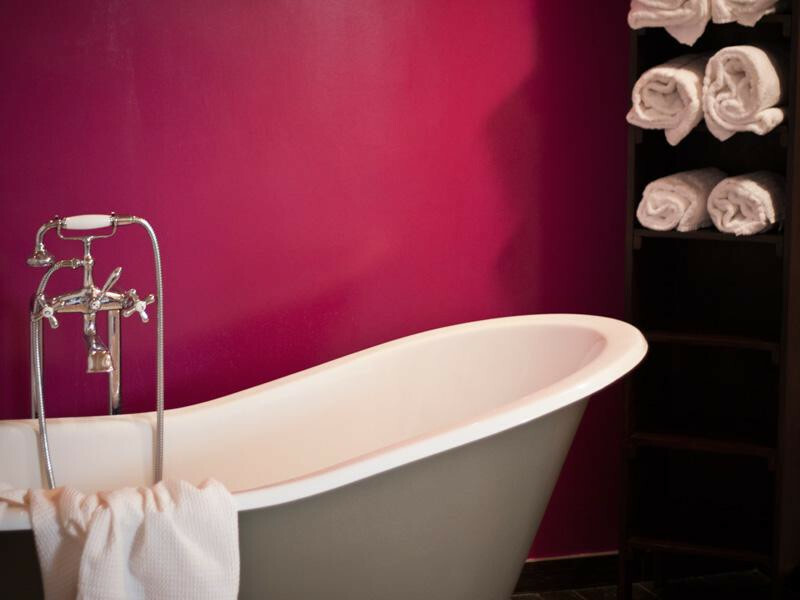 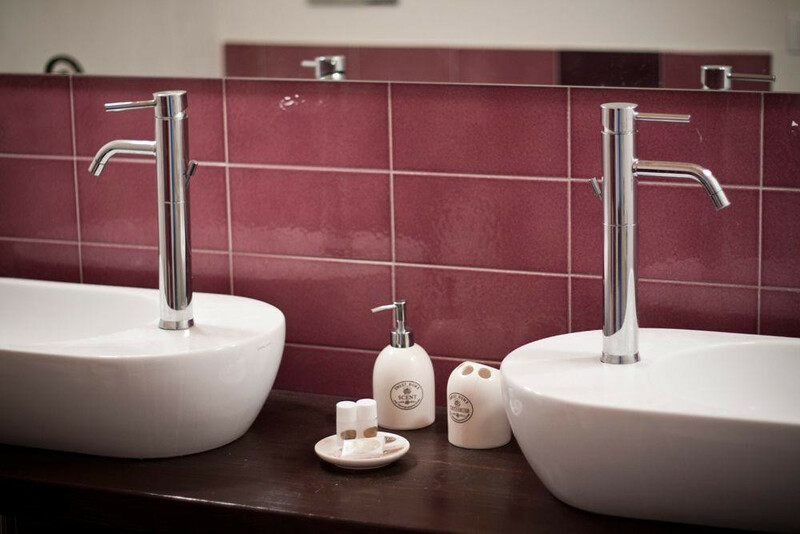 A refined and tasteful holiday apartment. 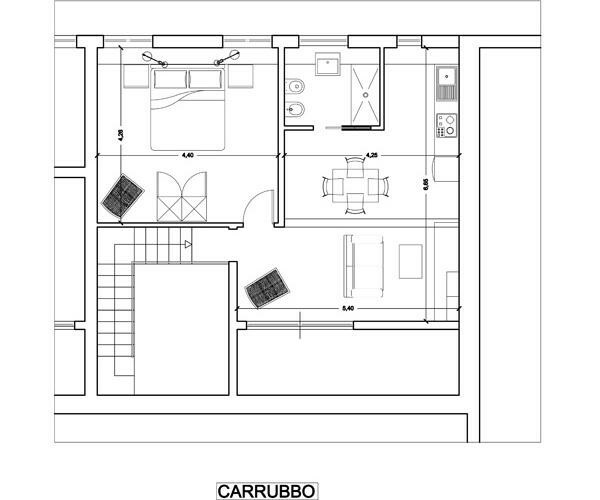 Ground floor: living room with kitchenette, dishwasher air conditioning / heating, access to the outside terrace, 2 double sofa beds, 1 bath / WC with shower, wardrobe. 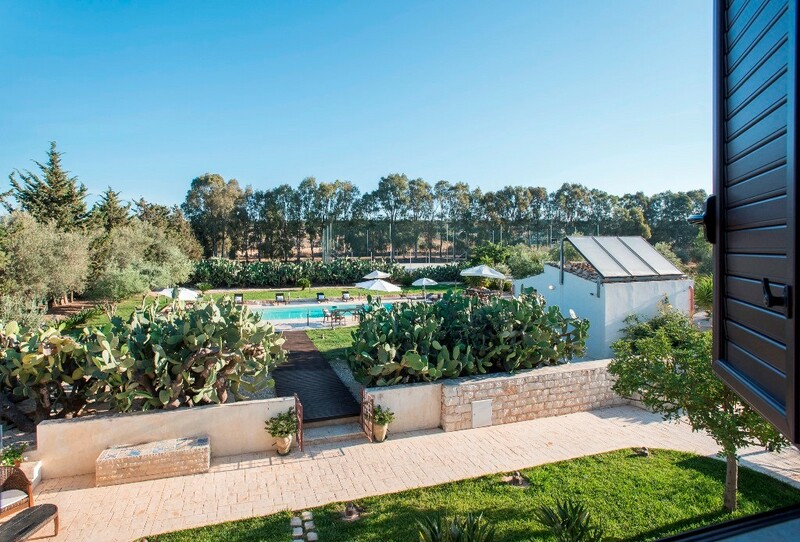 Surroundings Noto 51 km, Siracusa 86 km, Modica 16 km, Ragusa Ibla 30 km, Scicli 6 km, Vendicari Nature Reserve 65 km, Marina di Ragusa 12 km, Donnalucata 3,6 km, Donnafugata Castle 30 km, Caltagirone (Ceramic) 89 km, Etna (Castiglione di Sicilia) 207 km. 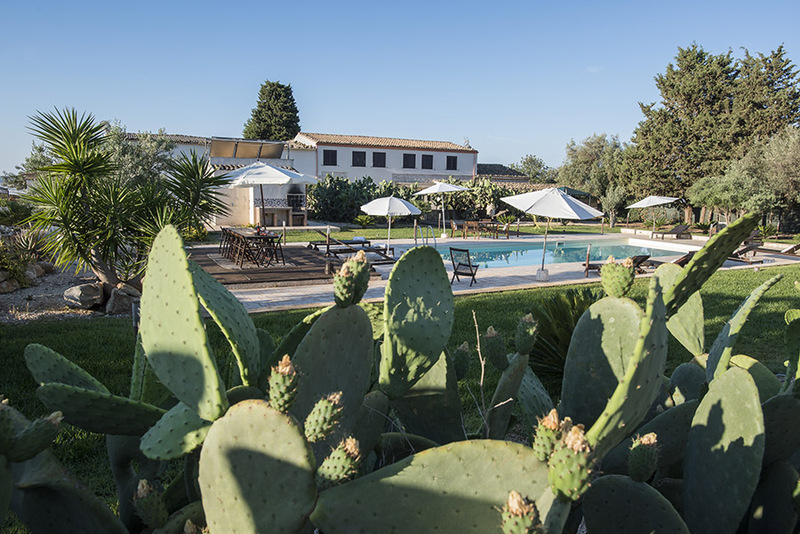 The seashore of the province of Ragusa is amongst the most beautiful beach areas of Sicily, studded with enchanting seaside resorts and seafaring villages. 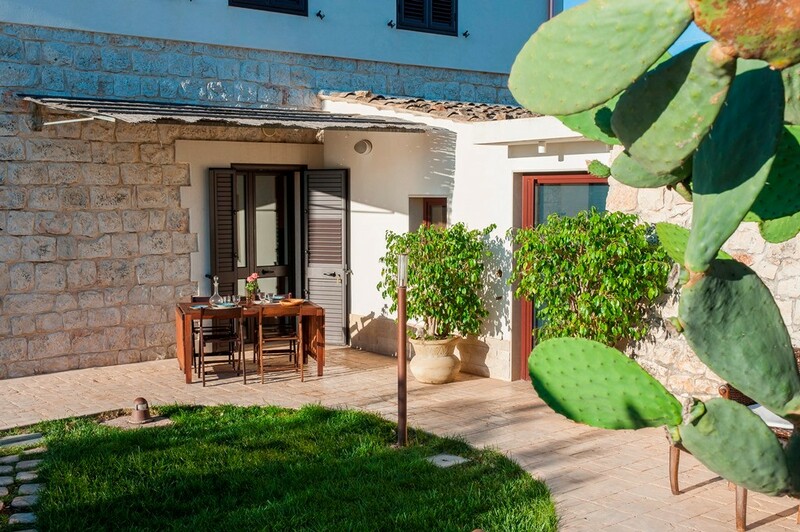 Beaches are wide, long and sandy, and waters are among the cleanest in Italy; the climate is mild and sunny for most of the year, and make this area particularly enjoyable also during less crowded periods of the year. 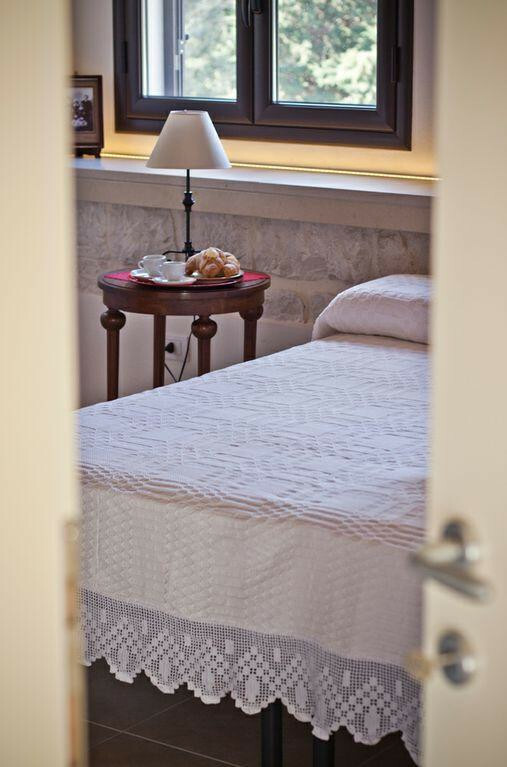 Discover the charms of the Baroque city centre of the ancient city of Ragusa Ibla: artistic and cultural heritage is invaluable, here and in Modica and Noto as well. 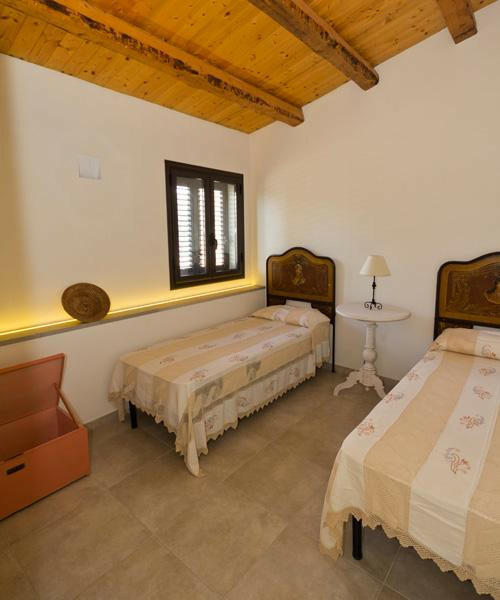 You are surrounded by UNESCO World Heritage sites: the Noto valley hides precious treasures with refined Baroque architecture as well as stunning archaeological sites. 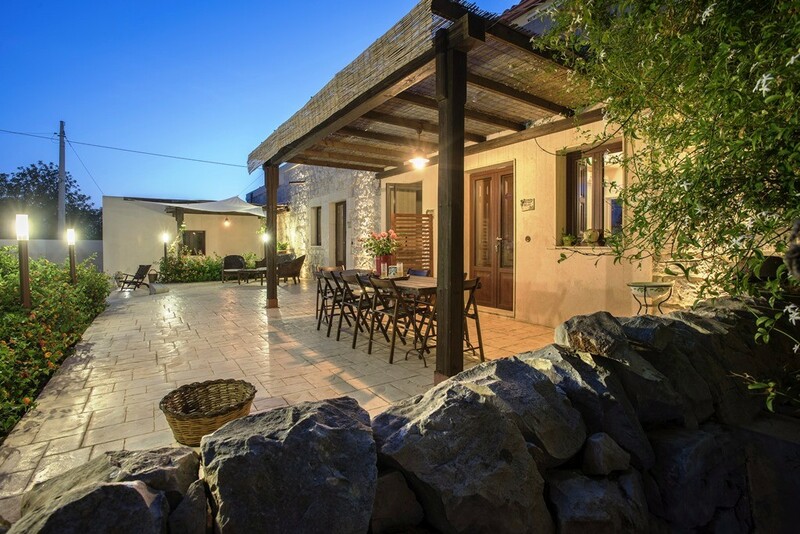 The beautiful Scicli is just 6 kilometers far from the mansion: a lovely town lying over a wide plateau, with a very ancient history starting more than 3000 years ago, and with great civilizations (such as the Romans, the Greeks and the Arabs) leaving their impressive cultural marks all around.